What you see in picture above are intersecting gray lines on a white background. 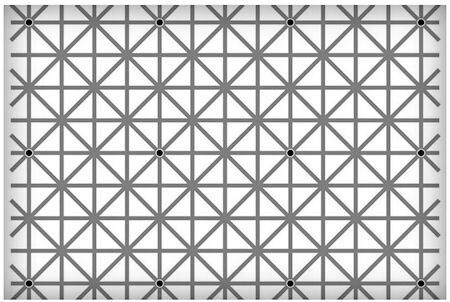 Twelve black dots blink in and out of existence where the gray lines meet. To be clear, there really are 12 black dots in the image. But (most) people can't see all 12 dots at the same time. Why is that?